All things considered, it’s a pretty great time to be an entrepreneur. The concept of the self-made millionaire used to be something of a joke, with those singled out as success stories generally coming from wealthy backgrounds or having benefited from great fortune in some other sense — today, though there’s still some fortune required, it’s relatively minimal. In fact, let’s run through the basic things you need to pursue your entrepreneurial ambitions (aside from food and water, naturally): a computer, a smartphone, and internet access. You could work solely through a smartphone in a pinch, and use Starbucks Wi-Fi if necessary. So there’s no reason why one person with a decent smartphone couldn’t hit it big. 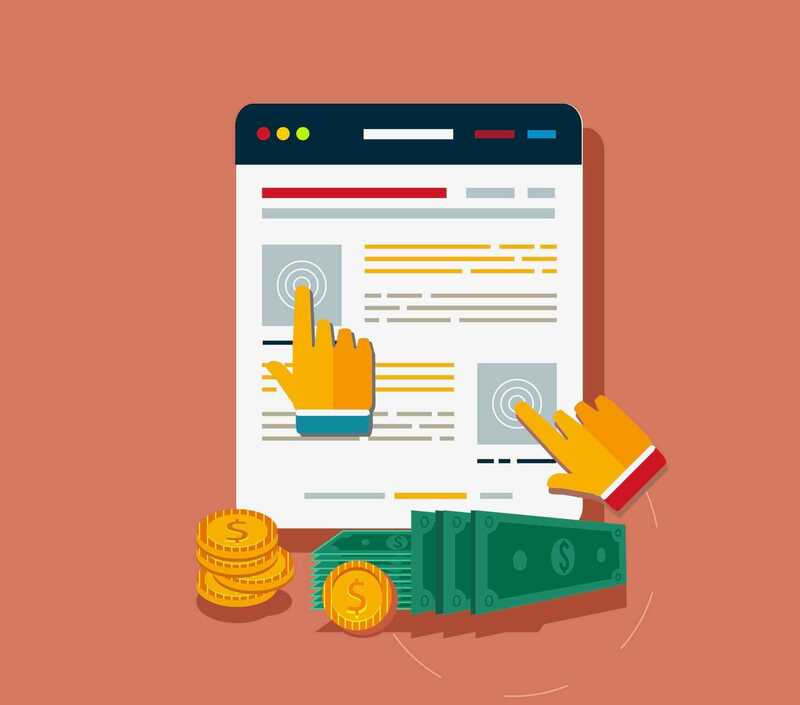 Throughout the rich digital world, there are numerous options for the aspiring entrepreneur (you can read about a decent selection of them here), but in this piece, we’re going to look at one in particular: website flipping. Much akin to a cross between stock trading and real-estate investment, website flipping provides the convenience of the former with the reassuring reliability of the latter. Instead of buying and selling conventional assets, you buy and sell entire websites, sprucing them up and moving them along at a profit. So if you’re interested in giving it a try, how should you go about it? Where should you shop, and how should you choose the websites to buy? Let’s go through it all. Where can you buy or sell a website? While of course, you can independently arrange the purchase or sale of a website (or anything you feel like buying or selling), it’s generally easiest to use a dedicated marketplace. That way, you can be sure that the sites you find will have passed some basic vetting, and those prospective buyers of your sites will better understand what they’re really worth. It also means you can cut down on the promotion you’d need to make the necessary connections. Unless you plan on trading only within a tight-knit network of people you personally know, you’re going to benefit significantly from being able to simply post a site (or a buying request) and know that relevant people are going to be able to find it. Despite the name, Empire Flipping isn’t about flipping empires — just websites. All sellers are vetted to ensure that their stores have stable and verified histories, and their sites are initially listed by average monthly profit to give you an idea of possible performance. You don’t need to speak to buyers or sellers directly, because the site staff will handle it for you, and each buyer must first make a deposit to demonstrate commitment. There’s even a valuation tool if you want to get an idea of what your site may be worth. As the marketplace with the most awareness in the field of website flipping, Flippa is an extremely popular choice, and for a good reason. The selection is strong, website sales hit around $5m each month, and you can even dip your toe into the app world since that’s also an option. And with a success fee of between 12 and 15 percent, it’s often cheaper than Empire Flippers (with a set fee of 15 percent). A relatively-new contender, Exchange Marketplace has some notable characteristics that set it apart from the other marketplaces. Two in particular: it only accepts or offers stores running on Shopify, and it doesn’t charge any fees. Because it’s a Shopify project, the profit comes from keeping people on the Shopify platform. No further charge required. Something useful about Exchange is that it allows the narrowing of the selection by type or even location (e.g., profitable Nevada businesses for sale) — it might not seem significant where a store is supposedly based, but it is, particularly given the impending changes to state-determined sales tax regulations. Yes, it’s true — you can buy or sell a website through eBay. Should you, though? Well, if you’ve ruled out the three previous options for whatever reason, it might be worth a look before you start checking out more niche marketplaces. That’s because eBay might be full of spam but that’s really because it’s full of everything. Given its broad inventory“>inventory, it certainly warrants a glance before you rule it out entirely. If none of these marketplaces seems a good fit for your needs, it’s best to consult entrepreneurs who operate in your preferred niche. Where do they buy/sell sites? Look for relevant subreddits, Facebook groups, and Twitter conversations — make some online connections and start asking questions. You’ll find that people will be happy to help. What makes a website worth buying? If you buy a website that hasn’t been set up correctly, then you’ll need to fix it before you even think about making other alterations. Once you reach that point, you might as well have built a new site from scratch and saved the purchase money. If you buy a website that is already optimized, you won’t have much room to improve it — and if you can’t make improvements, you can’t sell it on for a healthy profit. If you buy a website that’s focussed on a fad or something seasonal, its value is likely to diminish over time (or by the month) regardless of what you do. Think about how much money there was in fidget spinners when they first hit the market, and how profitable they are today — still performing, but not even close to that massive level. If you’ve selected one of the top marketplaces we looked at (the first three, really), then you can trust in the accuracy of the financial information provided for a listing — but interpreting it is up to you. You may be familiar with the warning of “past performance is not a guarantee of future success,” as some version of it will crop up for any trading advice service, and it certainly applies here. It isn’t enough simply to know that a website has been successful before. If you don’t know how that success was achieved, you might struggle to replicate it. Sometimes people sell websites because they just want to move on to pastures new, but sometimes they’re fortunate enough to luck into some early success and try to exploit that success to pass their sites off as being more stable as they really are. An up-to-date platform. There’s the aforementioned Shopify, or WooCommerce (on WordPress), or BigCommerce, or Magento, or… well, there are numerous viable options. It just isn’t a good idea to buy a site that runs on old software, because you might have issues updating. Historic transparency. Can you see what the revenue has been for at least the last year (or the entire lifetime of the site, whichever is shorter)? And has the seller commented on why they’re selling? Do you believe their explanation? Evergreen relevance. Cosmetics will sell at any time of year, but Halloween masks won’t. Unless you plan on waiting for 12 months, it isn’t too sensible to buy a Halloween store at the beginning of November. A thriving industry. You don’t want to grab a website that operates in a niche that’s losing ground, because the value is inevitably going to decline. Pick something solid. No operational demands. Turnkey sites that use dropshipping for any product sales might have low-profit margins, but they’re easy to keep running. Getting something with an actual inventory“>inventory would likely end up being more trouble than it was worth. If you can pick up a suitable site, you’ll have a great foundation upon which to build. What comes after that is up to you. You can focus on driving some sales to improve the record and raise the value, or you can adjust the style and product range to make it a more well-rounded site for whichever person ends up buying it from you. Previous Previous post: How Does Snapchat Make Money?